Backpack Holidays offers you 2 nights and 3 days stay in Bharatpur. Our itinerary is carefully designed keeping in mind the needs of a great birding experience. Our highly experienced team of ornithologist know every species like at the back of their hand; making sure that our guests have an unforgettable experience in the nesting lands of Bharatpur. The itinerary includes accommodation in Udai Vilas Palace with 4 star amenities, sumptuous food, Folk dance show, 4 safaris and surface transfers. Evening Departure for Mathura by August Kranti Express at 5:40 pm from Mumbai Central. Arrive in Mathura by 9:00 am and transfer to Bharatpur. Check in at Udai Vilas Palace. Post some rest and lunch we head for our first birding safari with our team of experts. Safaris here can be done on foot or in cycle rickshaw. Leave for early morning safari. Return to the resort for breakfast followed by leisure time. Post lunch, we leave for evening safari. After returning to the resort we shall enjoy Folk Dance and Cultural Show performed by local artists. Overnight stay at the resort. 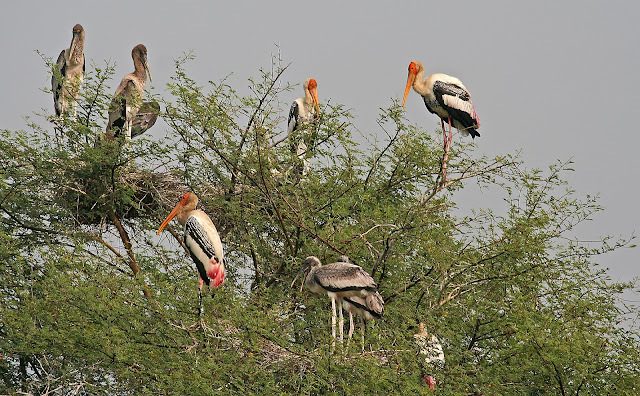 Take the last glimpse of the nesting lands of Bharatpur as we leave for the Morning Safari. Back to resort for breakfast & lunch. Leave for Mathura and depart to Mumbai in the evening at 6:00 p.m. Arrive in Mumbai with awesome wild memories.